Manchester United faced Fulham in their latest Premier League encounter, and in a bid to take Ole Gunnar Solskjaer’s amazing winning run to 11 games. At half-time, United certainly looked en-route to doing just that, the scoreline reading 2-0 via a pure French influence. Two spectacular goals provided United with their advantage, the opener being scored by Paul Pogba, who took advantage of a tight angle to net an absolute beauty. However, the brilliant football didn’t stop there, as Anthony Martial sought to give the traveling fans their money’s worth. 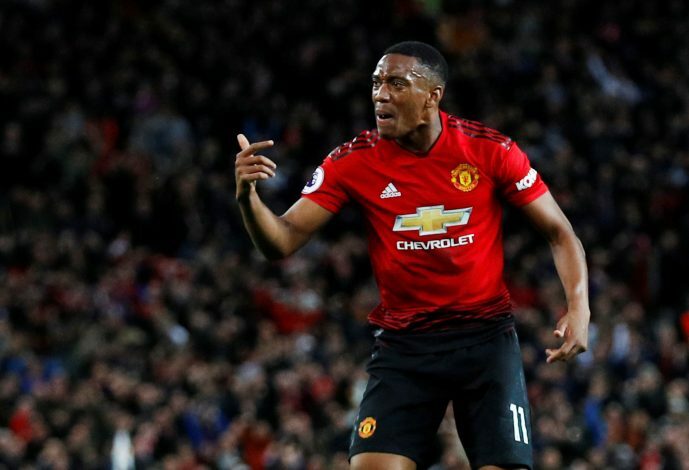 Being handed the ball, Martial sprinted across the pitch all on his own and thoroughly embarrassed the Fulham defense, before slotting the ball into the back of the net in what could very well be the finest goal that has been scored in the Premier League so far this month. Fans took to Twitter to express their joy at the sheer beauty of the goal, and many noticed a brilliant similarity. The goal that Martial scored was incredibly similar in buildup and nature to that of Cristiano Ronaldo’s goal against Fulham in 2007. That goal, 12 years ago, was a decisive one in United’s title haul, and hence remains quite memorable for a good chunk of the Red Devils. However, the similarity of the two goals will have most fans smiling. Martial has long been touted to be similar to Ronaldo in that his antics are spectacular and the fans love him. The sheer beauty with which he drives down the left wing and into the box has become synonymous with the ideal United goal post-SAF. Many have even advocated handing over the no.7 jersey to the Frenchman in the long run, and the goal against Fulham is a brilliant case in point as to why that has to be done.